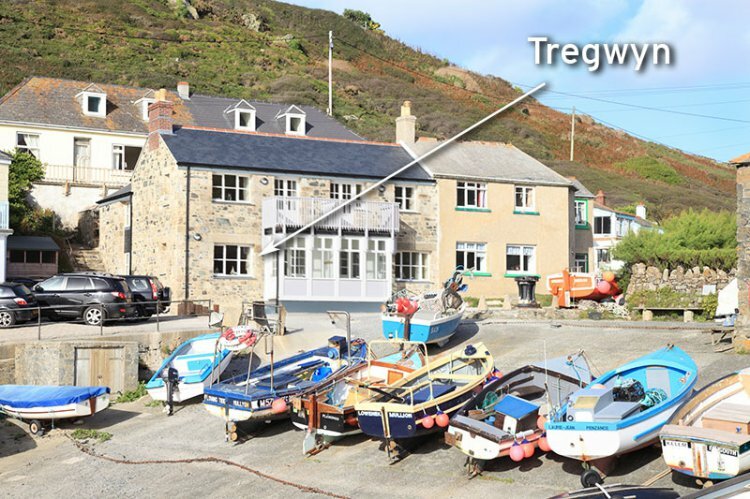 Tregwyn is a newly completed ground floor property - one of four units right on the harbour at Mullion Cove, Cornwall. The South West Coastal Path runs right around the coastal perimeter of Cornwall and passes next to the property. This gives you endless options for walking the stunning cliff tops, southwards towards the beautiful Lizard Point or North towards the harbour town of Porthleven. Alternatively you could just relax and enjoy the view of the harbour cliffs and sea - out towards Mullion Island... the choice is yours. Short Breaks available between October and March, please select under 'Duration' on the search facility, or call 01326 240 333. Close by are all the delights of the Lizard Peninsula, the hidden coves and breathtaking beauty of the high cliffs, you're never far from the sea here. A little further and historic towns such as Penzance, Falmouth and St Ives are all easily reachable in under an hour. Entered through a sunny front porch from where you can sit and watch the world go by with a cup of coffee. This leads into the main living area which is an open-plan lounge, diner and kitchen. Having a dual aspect the room is large and bright, with comfortable sofas, LCD TV with freeview and DVD player, a large dining table and four chairs and a log burner for those cooler nights. The kitchen is well-equipped and includes an electric oven with ceramic hob and extractor over, microwave oven, washer/dryer and a fridge with a feezer compartment. The fully tiled family bathroom has a bath with a power-shower over and a matching toilet and handbasin with mirror and shaver point over and a heated towel rail. Bedroom one is a large room with 5' king size bed, bedside tables and lamps, combination wardrobe and an armchair. Bedroom two is a single room with a 3' single bed, bedside table with lamp and a combination wardrobe with drawers. To the front of the property is parking for one vehicle with extra parking available 400m up the road. Rental includes bedlinen, towels, electricity, free Wifi, central heating and the first basket of logs for the woodburner. Short breaks with a minimum of three nights may also be considered, please phone with your requirements. Outside is parking for one medium-size vehicle. Also see property numbers 442- Fisherman's Loft, 443 - Pat's Den and 510 - Tremellin. The cottages below are located on the same site as Tregwyn.